You can tell magic is happening inside. The windows herald the grand opening of David Jones' annual Spring Flower Show, a long-held tradition in their Sydney CBD Elizabeth Street store. Anticipation builds until early December when the doors are opened, we flock to the floral spectacle once again. 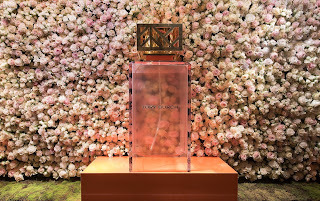 The 2016 flower show saw floral designer extraordinaire George Low briefed with the theme 'Scentsational', this year's show was to be a celebration of perfume and memory, pleasure and smell. It was to be an artistic representation of the power of scent for each of us, how we imagine and dream through floral smells, the spices and fruits that have enriched our pasts and will permeate through our tomorrows. 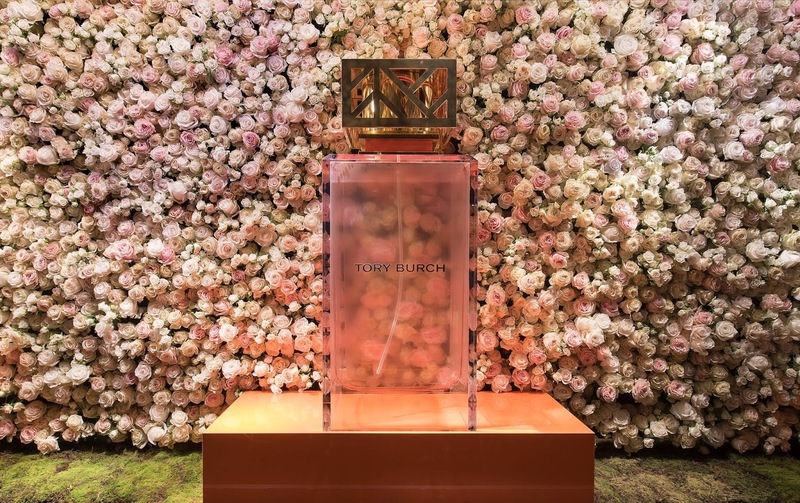 David Jones paired each of its 17 store windows with a perfume inspired floral design, like a dynamic wall of candy floss roses with thousands of rose blooms massed together. Walking into the Sydney CBD store, I was first struck by the arching 3D floral installations, cascades of white phalaenopsis orchids spilling down, pompom chrysanthemums, disbud chrysanthemums, and intricate ferns. (I also noticed there were some artificial white hydrangea flowers snuck in there too, it really isn't time for hydrangea flower until late November so I guess that's okay in this instance!). Then there was the beautifully lush vertical flower garden, three metres high and twelve metres long, brimming with pink and purple. It really was a living treasure trove of colour, with a tropical feel, almost like a neon jungle. 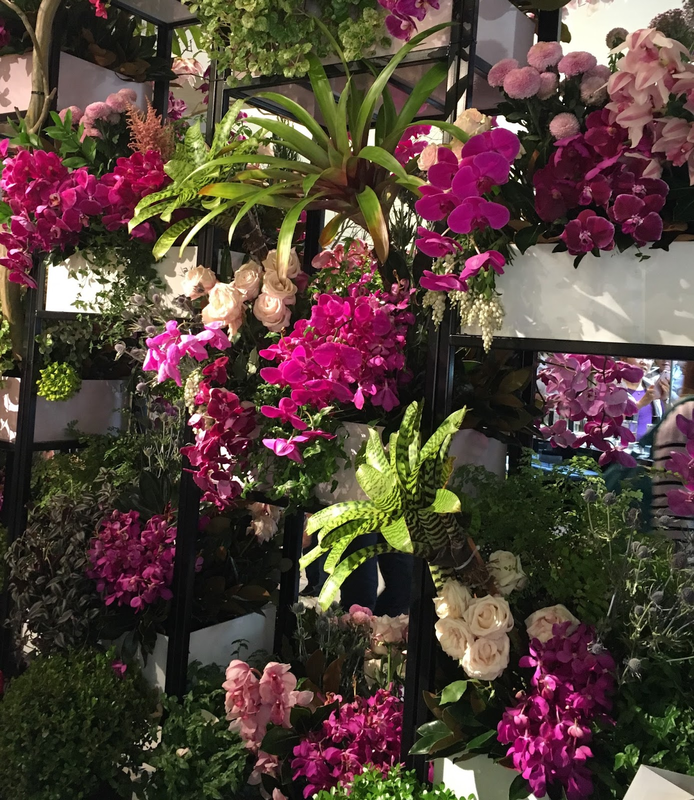 Again it was the spectacular phalaenopsis orchids which were the show-stoppers, with bromeliads popping out here and there, and light pink pompom chryssies adding a sash of fun. Vanda orchids were also sprinkled throughout, cymbidium orchids too, and delicate Columbian roses giving the appearance that they had just magically started growing out of the planter boxes. Such a beautiful illusion! It gave us so many ideas for our own vertical garden which we've just installed the framework for on the wall of our courtyard garden. But back to the show! A grand piano played as you strolled under the blooms, each meticulously placed. 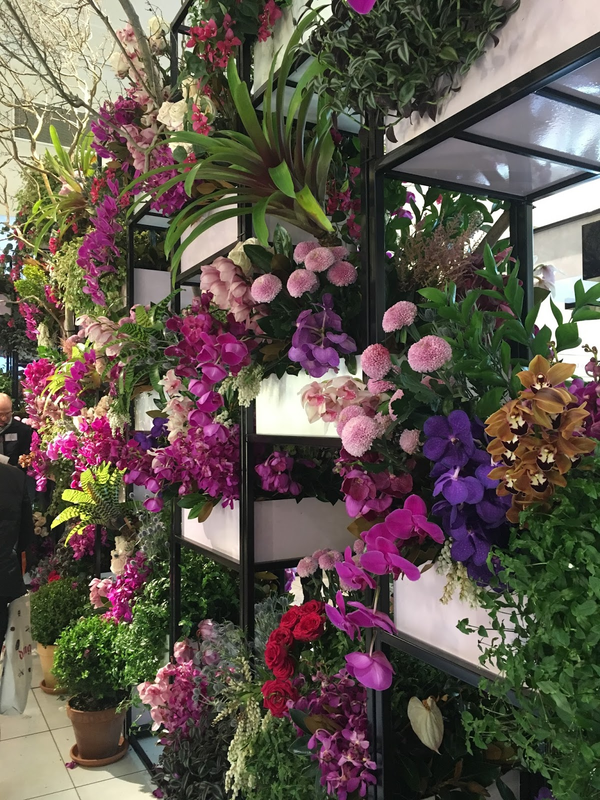 To create the 31st Sydney Spring Flower Show, David Jones employed over 30 florists, who put in a combined mass effort of 10,000 hours to complete all of the installations. 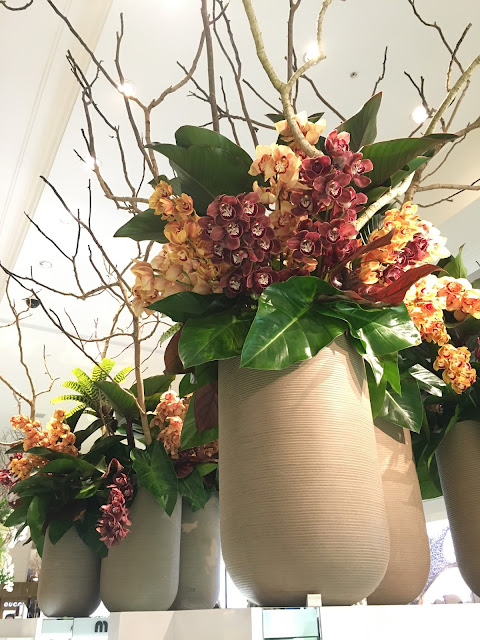 As flower people ourselves, it seems a momentous task to keep everything looking perfect, and we loved drawing inspiration from George's creations. 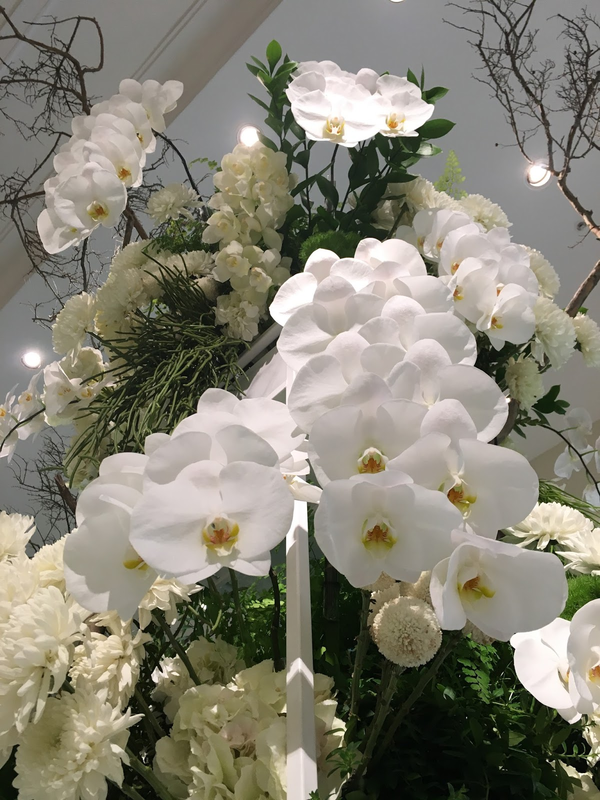 To make all he imagined come to life, George sourced flowers from all over the world, from Columbia and Taiwan, from New Zealand and Vietnam. Locally he also sourced from the long-established flower farms in Dural and Kenthurst. No less than 150,000 blooms filled the Sydney CBD store this year, and each had to be placed with precision as opening day drew near. 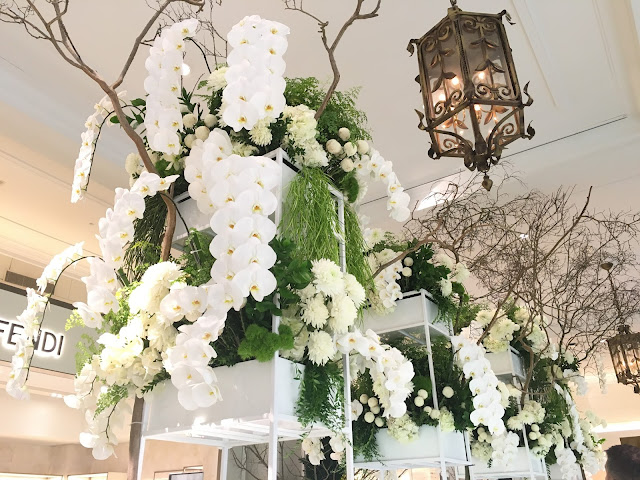 It really is a wonderland, a dream filled space, a Scentsational celebration of Spring, or fragrance and the magic of flowers. 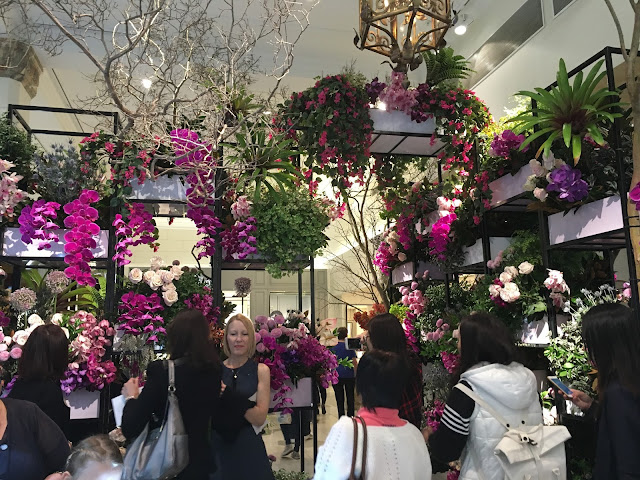 This is one of my favourite floral traditions in Sydney. 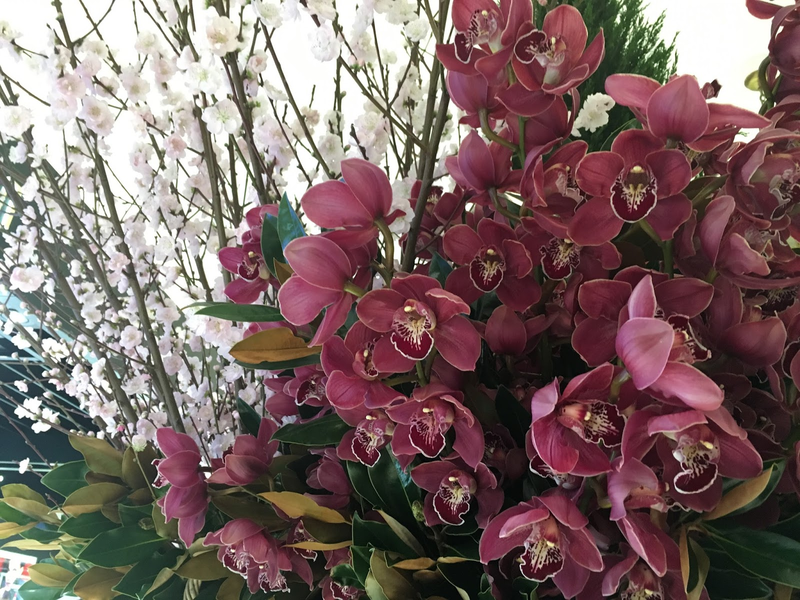 For the huge potted arrangements sitting atop the store fit-outs, were large cymbidium orchid plants, cherry blossom stems looking perfectly, and ornamental branches giving an edgy contrast to the floral softness.